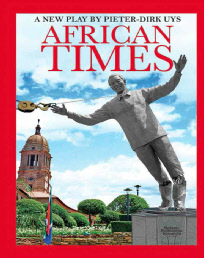 African Times is strictly protected by copyright. South Africa, once a celebrated democracy that came into being in 1994 with a government of national unity led by Nelson Mandela, is now in a different world. The rainbow is fading into a monochrome political horizon. The United Nations has lifted an embargo against the Tswane Regime. A senior cabinet minister, Dr M Z Nkosi, returns from a sanctions-breaking visit to Beijing with his youngest daughter Karabo, who was in self-imposed exile in China. Nkosi comes home with a new wife, much to the disapproval of his eldest daughter, Sibongile, and to the delight of her younger sister Nomsa. Sibongile is forced to take control of the family after her father’s sudden death. Rumours of an assassination threaten to overtake the truth of his heart attack. The family are sidelined by the government and wait alone on their estate, Ubuntu. The fabric of their society is unravelling faster than they could have ever dreamed. Afrophobia rules the land. Violence and fear is in the air. Electricity and water are too scarce to share with just anyone. The security cluster, intrigue and corruption confuse them even more. All they have left are images of their country at its best: television images of its beauty, old news clips of Nelson Mandela’s embracing smile … The Nkosi family are forced to shed their prejudices and fantasies and confront the reality of their situation. Nostalgia for a past struggle is no match for the chilling expectations of the struggle ahead. Is it a white comedy or a black tragedy? Whose side will you find yourself on?